Limoncello is one of Southern Italy’s best know drinks. It’s served as an aperitif and as an after-dinner drink. Limoncello is best stored in your freezer and served icy cold. Here in Wisconsin, we like to sip Limoncello during the warm summer months, while sitting on the dock with our feet dangling in the lake with dragonflies buzzing around our heads. It definitely isn’t an Italian Villa but it’s our Villa. Limoncello is a light, crisp, lemony and refreshing drink. Indeed a summertime drink. 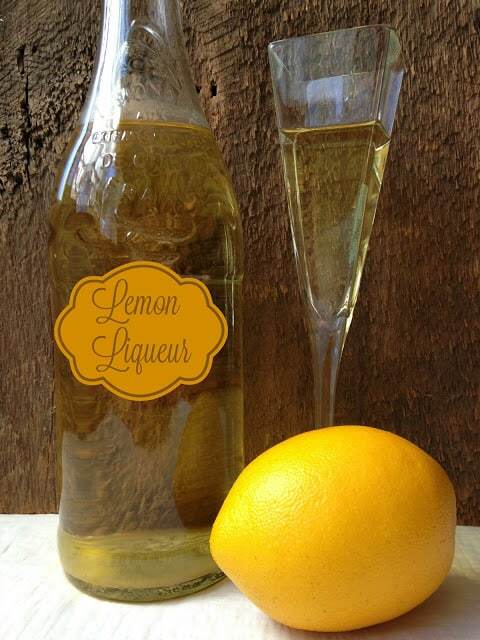 Store Limoncello in the refrigerator or freezer…..the colder the better. Enjoy! 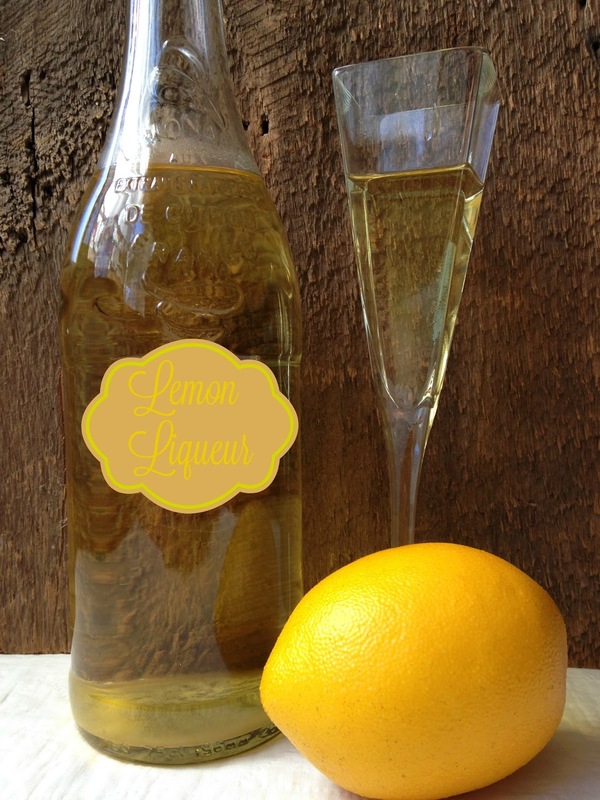 Save vodka bottle or everclear grain alcohol bottle to reuse when Limoncello is finished. Select organic, smooth skinned lemons. Wash lemons in warm water. Scrub lemons with a vegetable brush to remove all stickers, stamps and wax. Dry lemons with paper towels. Zest lemons using a microplane zester. Use the zester to remove a thin layer of zest from the whole lemons. The white pith just below the zest will make the Limoncello bitter. Strain Everclear 151 Grain Alcohol or 100 mid-grade Vodka four times. Filter 4 times using a Brita used for this purpose only or filter through cheesecloth and a disposable coffee filter. Combine the zest and filtered liquor into a very clean one gallon glass jar, with a tight fitting lid. Screw the lid on tight. Wait for 10 days, shake the jar 4 times during this 10 day period. Then store the glass jar in a cool, dark place for 45 days. Filter the infusion. First Filter: Use a flat bottom permanent coffee filter, (found at grocery stores) Put the filter in a funnel, put the funnel in a pitcher or whatever container you are using. Ladle the infusion out of the glass storage jar and through the filter lined funnel. Second and Third Filter: Put a flat bottom disposable coffee filter the kind with the fluted edges, inside the permanent filter. Filter the infusion, twice. Last Filter: Remove disposable filter, discard, filter infusion through permanent filter only. Discard permanent filter. Infusion should now be back in the large glass jar with screw lid. Make simple syrup: Bring 5 cups filtered bottled water just to a boil, remove from heat, stir in 3-1/2 cups of white sugar. Stir until sugar is dissolved. Let come to room temperature. Once the simple syrup has come to room temperature, add to the lemon/liquor infusion, screw the top back on and shake the jar. Make a label and date that you mixed the lemon/infusion with the simple syrup. Step nine: Wait…Store jar in a cool, dark place for 45 days or longer. Pour boiling water in bottle the grain alcohol or vodka came in. Let water come to room temperature. Dump water out. With a funnel, fill bottle with final product.